I received the PDF version of these lapbooks that normally run $13. You can also get CD versions or printed versions of most all of them as well and they run between $14 and $21. I think this is an amazing deal because it comes with ALL the information you need to make them. The directions are clearly written for each and every part of the lapbook. Since I am still a newbie it was very helpful knowing that I has all the directions right there teaching me every step of the way. We reviewed a study guide page a day and did the activity that went with us. This was set up to just the right amount I think. It gave us something to learn for the day but didn't take so long that he got bored of it before we finished. I think that is key when making any kind of work for a kid in this age group. I used the Letters, Numbers and Shapes with my 4 year old. We are still slowly introducing him into formal school work to prepare for the start of Kindergarten soon. This was a very simple and fun book to do with him. It was all coloring, tracing, cutting, and gluing. Doing the "work" of writing the letters, numbers, and shapes was rewarded by the fun of coloring and cutting. Not to mention getting the great practice at their cutting skills. The pictures were very fun and simple so I really do think that it was right on key with the age group it is for. This really got me into the gear of wanting to do more lapbooks with him. Plus he gets to look at it everyday and learn even more from it than just a normal activity. I also worked on the Earth Lapbook with my two daughters that are 8 and 6. I must say this one was AMAZING! 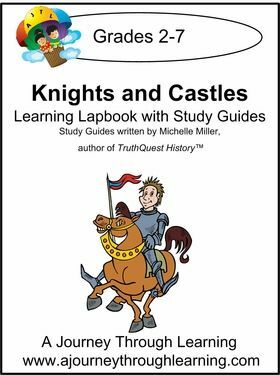 Not only was it a cool easy to do lapbook but it also contained all the learning materials. I did not have to go look up stuff and find information out to complete it, it was all included. 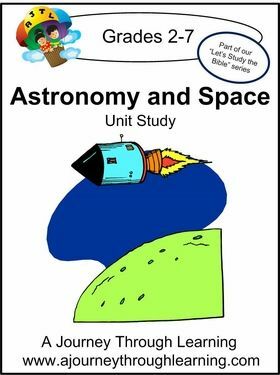 The information included in this lapbook was; water cycles, the 4 spheres, oceans, atmosphere, and . The kids enjoyed coloring, cutting, and pasting all the information they learned. Since our last attempt was a bust I was glad they enjoyed this. Though my 6 year old can not read she enjoyed doing the steps that sister was doing. She still learned from it though. 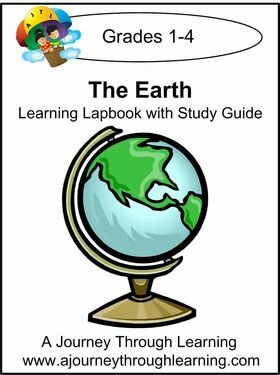 Here are some sample pages from this lesson, Earth Lapbook Sample. The instructions say that doing a lesson page a day and mini booklet it should take you about a month to complete. We took just over 3 weeks to complete ours. Some days we were very interested in what we were learning so we did a little more. Overall I think these were some very well done lapbooks. I like that they are an "all in one and done" type of thing. The only thing you need are basic supplies like your scissors, glue, crayons and file folders. I like that all of the research was printed out for you. We didn't have to go searching books or looking things up online. The lessons were just the right amount to do each day. The kids get board with something if it take a whole lot to get to the work. 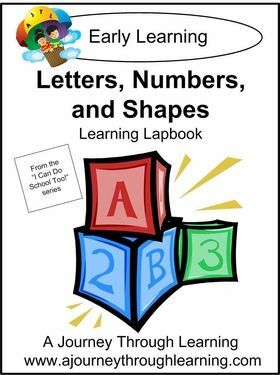 Plus these lapbooks would be a great break time during a lesson plan. We enjoyed our lapbooks too. Stopping by from the Crew!